This 1920s Advertising Plate has such a good look to it. I love the central pie. 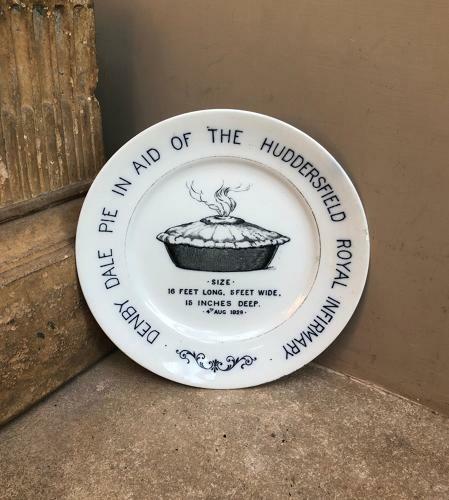 A huge pie made to sell and raise money for The Huddersfield Royal Infirmary. Tiny little repair to the right edge...shown on the photographs.